Situated in the intimate setting of Greenwich Market, Ben Oakley’s art gallery is home to a diverse and ever-changing range of work from a variety of local artists. With politically charged pieces and a taste for the current, Ben’s choice of artwork to curate is always thought-provoking and tasteful. The 198 Gallery (a registered charity) was born back in the 1980s at a time when racism and discrimination was rife in London, particularly in areas with high immigrant populations, and at a time where stop and search laws allowed police to randomly stop and search members of the community openly in the street. 198 Gallery was originally a charity called Roots Community Limited, which aimed to promote diversity, equality and inclusion. Evolving this community based project over the years, 198 Gallery has now become a fully functioning art gallery and produces and curates amazing artwork from all over London on a regular basis. Alongside the artwork they also allow artists and others to rent their space for a nominal fee and work with different organisations across South London. Established by local people as a hub for artistic activity in the area, Gallery London showcases a diverse range of work in different mediums; from furniture and sculpture, to classic paintings and photography. 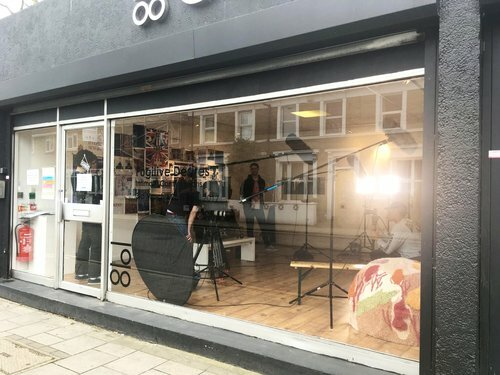 Located in Hither Green, this small local art gallery is run by two locals who are passionate about exploring the area’s creativity and are providing a platform for artists to come forward and showcase their work. Find out more about the shop here. Independent framing shop and gallery, Gallery Seventeen, lies in the heart of Beckenham, just a few seconds from Beckenham Junction station. It is an evolving comprehensive art centre with a wide range of local and international art available. The gallery also provides workshops and training for budding artists or people who just fancy taking something new up or learning a new skill. Among these classes are painting, drawing, and making ceramics. Find out more here. 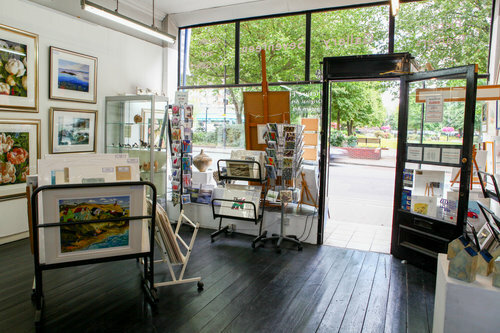 Set in the heart of Brixton Village, Studio 73 is a quaint and lovely art gallery and framing shop. They showcase local artists with rolling exhibitions of original paintings, drawings, photography and editioned prints. As art galleries go, this one is unlikely to show the same thing twice, with a pentitude of artists showcasing their work there on a regular basis. Check out what’s on offer at the moment here. One of the cherished small businesses that make up the inner perimeter of Greenwich Market, The Flood Gallery is an accomplished trader and showcases some incredible local art. Having made a name for themselves for their unique and varied collection of band-posters and other similarly themed work, The Flood Gallery is perfect for music lovers wanting to surround themselves with their favourite bands and creative takes on their favourite live performances. Check out some of these epic gig posters taken from some historic, famous concerts going back to the 1950s here. 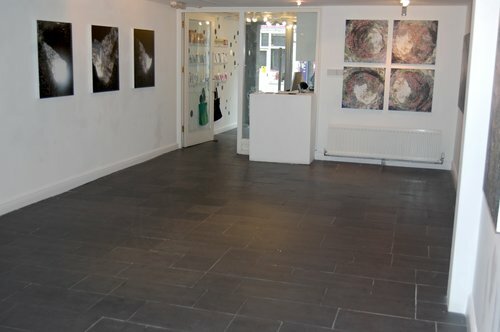 Located in an area of South London known more than anything else for its artistic intake, with the Camberwell College of Arts sitting in the middle of the area attracting many aspiring artists from across the country, GX Gallery is an eclectic gallery that aims to support both established and emerging artists. The GX Gallery house exhibitions and events with artists’ work from a multitude of backgrounds, styles and experiences. This amazing local venture is host to a regular programme of commercial solo and group exhibitions and exhibits work at a number of local and regional art fairs throughout the year. Check out what they’re exhibiting here. All about the new and emerging talent, Deptford’s Bearspace provides a platform for nurturing artists and helping them get their careers off the ground. Based in the heart of Deptford on Deptford High Street, it is rooted firmly in the local community and supports the local, vibrant art scene in Deptford. Find out what they currently have on here. The brainchild of local philanthropist David Coombe, Artful Pelican is the first of its kind in Lewisham. It provides a uniquely inspiring platform that showcases the artwork of homeless people in London. The art shown in the gallery is all created by people who are or have been homeless and are struggling to get back on their feet in society. David and the team are regularly speaking to, and sourcing work from, homeless, ex-homeless and/or vulnerable artists to display at the gallery. The gallery is very much trade, rather than aid, oriented; giving the artists a real, long-lasting, sense of accomplishment in addition to the funds they need to begin improving their living situations. To check out what they’ve currently got on display, click here.